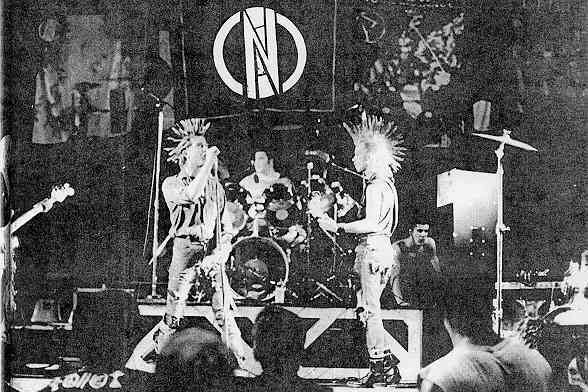 Conflict have been cited by many as the world’s foremost Activist Anarchist punk band. in great numbers throughout the years,Conflict remain active on all fronts to date. THE A.L.F is closest to Conflicts heart.In fact Colin was an original member shorty after its creation. The stance taken is to dismiss all politics,rejecting any parties and any organisations that are linked. LEFT WING - RIGHT WING. YOU CAN STUFF THE LOT. Conflict releases have dominated the independent charts since the groups debut single- The house that man built was released in 1981.This reached No 1.Thereafter Conflict releases mostly followed suit shifting tens of thousands of units worldwide. This entered the charts straight at No 1 and remained there for weeks on end,even holding off THE SMITHS - the queen is dead album. MORRISSEY has since spoke if his frustration at having to be content with No 2.